France and her Emperor faced the Austrian Empire in three major wars during the Napoleonic period, after having fought for a decade during the Revolutionary period. Napoleon himself won repeated victories against the Austrians in the early years of the Empire; his marshals were less successful to the extent that, French propaganda to the contrary, Austria won more battles against the French than she lost during the decade. But in the real measure of effectiveness, it would be Austria’s Emperor who determined the course of European history after 1815 and France’s Emperor who died in lonely exile on a rock in the middle of the South Atlantic Ocean. Despite a brief period of alliance during the Seven Years' War, Austria's relations with France had long been defined by a bitter rivalry that dated back to the Habsburg-Valois wars of the 16th Century. French kings had envied the Austria's Habsburg ruling family their de facto hereditary claim to the throne of the Holy Roman Empire, seeking at all costs to prevent German unity. Napoleon continued this policy and expanded upon it, attempting to place France at the head of a united Germany (via his Confederation of the Rhine) and naming his son the King of Rome (the traditional title of Habsburg heirs to the Holy Roman Empire). The unhappy General Mack surrenders his army at Ulm, 1805. That history assured that when Napoleon attempted to establish French hegemony in Europe, Austria would fight him. On paper, Austria had all of the necessary means: a stable ruling dynasty, ample reserves of manpower, strong economic potential and a large standing army. The Revolutionary Wars had cost Austria a number of her outlying provinces, like the Netherlands, Farther Austria and Milan, but this had in turn made Austrian territory far more compact and strategically cohesive, particularly following the acquisition of Venetia and Dalmatia. Two distinct difficulties prevented the full deployment of Austria's military potential. To start with, Austrian finances had never recovered from the massive expenses of the Seven Years' War. Austria ended that conflict deeply in debt, and French subsidies did not cover the budgetary shortfall. The large standing army maintained after the war also maintained the strain on the Empire's tax system, which defied large-scale reform. The high command underwent the entire period riven by jealousy and factionalism, encouraged by the insecure Kaiser Franz. Austria went to war in 1805 with all of those problems in evidence. The Imperial-Royal Army had begun a period of reform immediately after the end of the last war in 1801, but a combination of bitter strife among the army’s leaders and the military bureaucracy slowed actual implementation. Finally Kaiser Franz’s personal military representative, General Karl Mack, instituted widespread new tactical doctrines and tables of organization by decree in June 1805 – three months before Austrian troops crossed the border into Bavaria to start a new war. 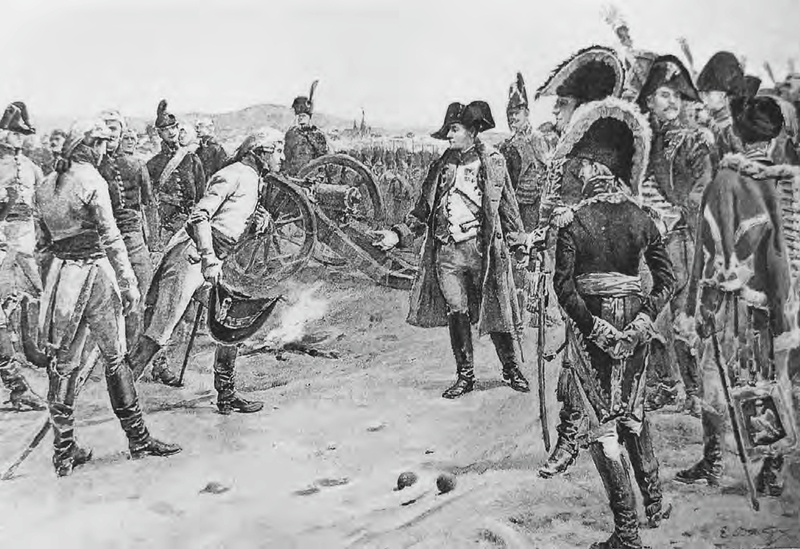 Kaiser Franz (in cape) meets Napoleon after the Battle of Austerlitz. That war lasted slightly less than four months, and resulted in a significant Austrian defeat. Austria yielded up Tirol, Vorarlberg, Venetia, Istria and Dalmatia. In exchange Austria absorbed the Prince-Bishophric of Salzburg. Austria paid a large cash indemnity to France that it could ill-afford, and the peace treaty effectively brought an end to the Holy Roman Empire. Afterwards, Austria embarked on a real program of army reform. Once again factionalism, imperial interference, Hungarian obstinacy and the empty treasury impeded progress. But the Austrian army that went to war again in 1809 had improved markedly all the same and was supported by a national militia, the Landwehr. Within German-speaking Austria, the decision to resume war with France met with a great enthusiasm: Austria had discovered nationalism, and the Kaiser feared where it might lead. Austria discovers nationalism. Andreas Hofer on Bergisel, 1809. The revived Austrian army, now under command of the Archduke Charles, performed much better than in previous years. Rolled out of Bavaria, the Austrian appeared on their way to another collapse but Charles led them to victory over Napoleon at Aspern and fought the French to a bloody stalemate over nearly the same ground in the Battle of Wagram. But the war still ended in defeat, and Austria once again lost a great deal of territory, yielding up Salzburg, Carniola and Galicia. Austrian troops marched into Russia in 1812 alongside Napoleon’s Grande Armée, this time led at Napoleon’s request by Prince Karl Philipp zu Schwarzenberg. The Austrian corps enjoyed some minor successes, but at the direction of Vienna the prince avoided battle with the Russians whenever possible and extracted his troops from the debacle with fewer losses than the French (“only” losing one-third of his effective strength). The next year, the Empire mobilized its armies and made an attempt at armed mediation; Napoleon refused to disgorge any of his conquests and Austria took the field against him in the summer of 1813 alongside the Prussians and Russians. This Austrian army could barely arm and clothe itself; once again, promised British assistance only arrived after the campaign was over. But Austria managed to put more men into the field than any other member of the anti-French coalition, allowing her government to name the allied commander (Schwarzenberg) and determine overall strategy (cautious). The Austrians had used French-style corps organization for the first time in 1809, and found they lacked sufficient trained staff officers to man all of the separate headquarters. In 1813 they initially tried to do without them, tasking Schwarzenberg and his chief of staff, Josef Radetzky, with handling 13 separate divisions. That burden proved impossible to master and within a few weeks they had adopted corps again, with only slightly better results. Austrian staffs had difficulty managing their troops on the battlefield, and logistics continually broke down. 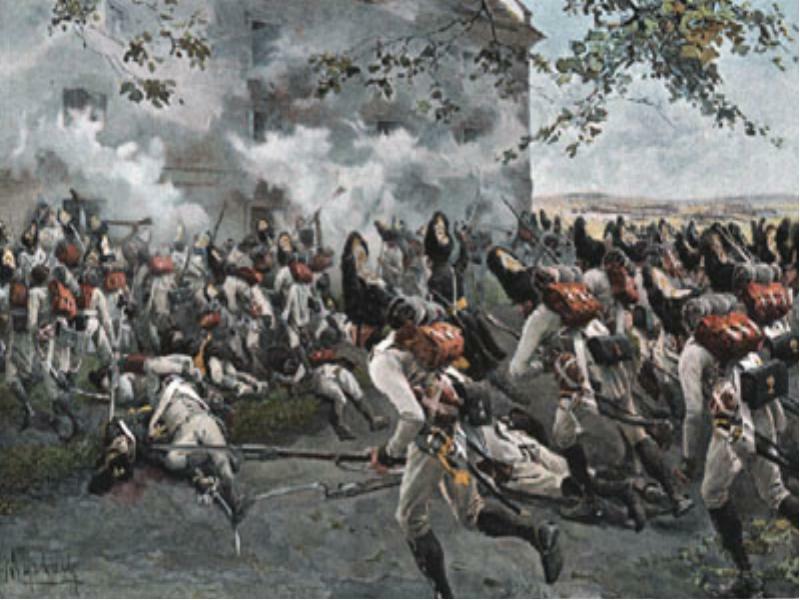 Austrian grenadiers storm the granary at Essling, 1809. Most Austrian troops in the 1813 campaign were raw recruits, forcing Austrian formations to adopt simple and brutal storm-column tactics (as they would in 1866 and 1914). These took advantage of Austria’s good supply of personally brave but tactically deficient officers, and against the firepower available to Napoleon’s troops had success though at a frightful cost in lives. Radetzky’s careful strategy steadily pushed Napoleon back across Germany and into France; Napoleon could still win battles but he could not halt the Allied advance. Austria continued to provide the largest Allied contingent, but the poor logistics and lack of proper clothing led to thousands of additional casualties through exposure and disease when winter came. In the spring of 1814 the advance resumed, with Radetzky ordering the armies forward against French generals other than Napoleon and retreating before the Emperor himself. The strategy assured ultimate victory without incurring huge casualty lists or giving Napoleon the chance to change the outcome with one final spectacular battlefield success. 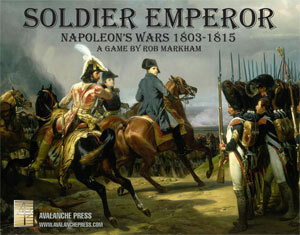 By April, Napoleon was finished. 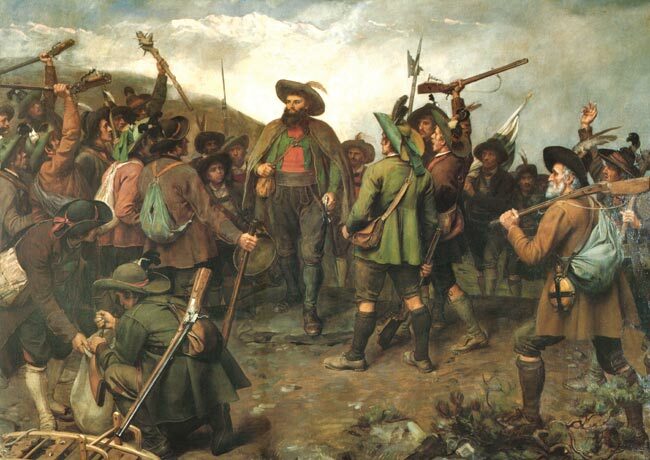 His return to France a year later brought the Austrian army back into the field, with Schwarzenberg leading a huge army on the upper Rhine and smaller forces operating in southern France and in Italy. 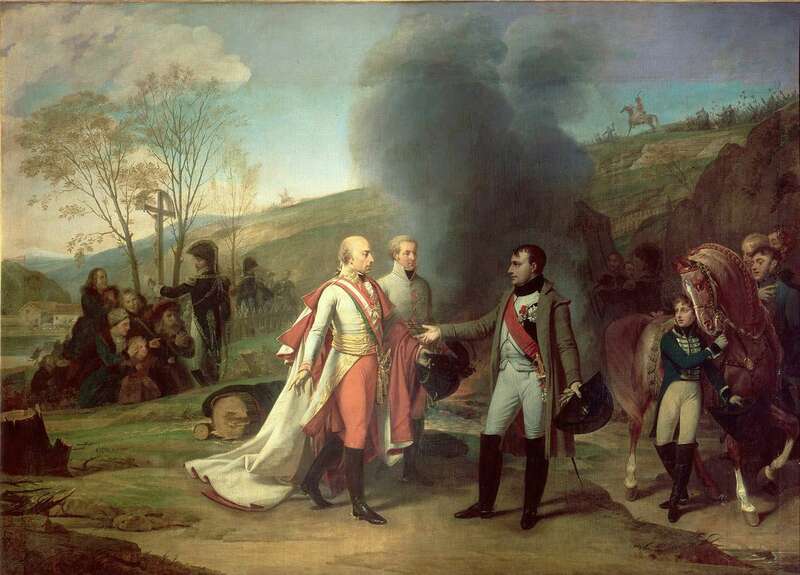 The Austrians won a victory over Joachim Murat’s Neapolitans at Tolentino, but did not face Napoleon. Their contributions would assure the hosting role in the Congress of Vienna to decide the future of Europe. The Imperial-Royal Army took great pride in its ultimate victory. Although Napoleon and his army would gain fame for their many battlefield victories, these could not extend his reign for more than a dozen years. It would be the Austrian army that proved the more effective instrument of state policy, ringing in an age of power politics defined not by Napoleon, but Austrian chancellor Klemens von Metternich.